The Trek Powerfly 7 FS is a good electric mountain bike, but its component specification is holding it back from reaching its potential. The Powerfly 7 FS is a good looking electric mountain bike from one of the industry's top brands, but our testers felt that Trek missed the mark on this one. The Powerfly has good bones, with a stout aluminum frame based on their proven Fuel designs, and a powerful Bosch drive unit that delivers strong power output and a good distance range. A bike is the sum of its parts, however, and unfortunately, some of the components attached to the Powerfly 7 FS aren't the right fit for the job, especially considering the price. A poor suspension specification, under-powered brakes, and round profile tires didn't inspire confidence and made this our least favorite downhill performer. That said, the Trek Powerfly is a good e-MTB, but it's far from the best. Read on to find out how it compared to the competition. Trek is one of the biggest brands in cycling, so it's no surprise that they have joined the manufacturers selling electric mountain bikes in North America. Over the years we've grown to expect quality from Trek that typically comes at a premium price, and the Powerfly 7 FS is an example of that. At a retail price of $5,200, this bike costs roughly the same as the other bikes in this review, give or take a few hundred dollars, but it has a build that is completely out-classed by the competition. Trek's frame design is great with a nicely integrated battery and drive unit that provides strong power output and best-in-class distance range, but this bike's lower end components, most notably the suspension and brakes, are a serious detriment to its otherwise relatively good performance. Read on to find out how the Powerfly 7 FS compared to the competition. It may not be as good as the competition, but that doesn't mean it's not fun to ride. Trek has chosen Bosch for their e-bike batteries, drive units, and controls. The Bosch Purion control unit on the Powerfly 7 FS features a digital display and shifter buttons that are a single unit located on the handlebar by the left grip, similar to that found on the Bulls bike. The digital display is large and easy to read, it shows your current speed, power output setting, and remaining battery life. Its location on the left side of the handlebar made it slightly less convenient to view than the display on the Commencal Meta Power which is centered by the stem, but at lower speeds it was still easy to view at a glance. The digital display and controls on the Trek Powerfly 7 FS. The shifter buttons are located on the left side of the display with large up and down buttons that shift through the Bosch drive unit's 4 support settings, Eco, Tour, e-MTB, and Turbo. The buttons are large and intuitive to use, but testers didn't love the ergonomics of the system and felt it was somewhat less user-friendly than the shifting found on the Commencal Meta Power, Bulls E-Stream, and the Specialized Turbo Levo. The buttons were large, but you had to be sure to press them directly in the center and get a positive click to be sure the drive unit would shift. Our testers did like the charging interface on the battery unit of the Powerfly. The charging port was well protected and the connection with the plug felt very secure. The battery charged in a similar amount of time as the competition, about 3 hours. The Powerfully was best suited to smoother trails and was plenty of fun to ride at speed. It would be unfair to say that the Powerfly 7 FS wasn't fun to ride downhill because it was still a blast, it just couldn't compete with the impressive downhill capabilities of the competition. There are a few reasons why, and we'll start with the bike's geometry. First, it has 130mm of front and rear wheel travel, making it more of a mid-travel bike than the other e-MTB's in our test selection. Next, it has the steepest head tube angle, at 67.3 degrees, of all the bikes we tested which made it feel a bit less confident in steeper and rockier terrain. The size medium Trek we tested also had the longest reach, at 458mm, and the longest wheelbase, at 1226mm, of all the models in our test. This length did give it a stable and planted feeling at speed on smoother sections of trail, but it also made the bike feel sluggish and unwieldy in technical sections, tighter turns, and lower speeds. The component specification of the Powerfly 7 FS is probably the biggest detriment to its downhill performance. The Rock Shox Recon RL Solo Air fork, in particular, is not well suited to the front end of this heavyweight electric mountain bike. The Recon fork has inconsistent, sticky feeling travel and noticeable flex when riding downhill, it just doesn't feel stout enough for the weight of the bike. Recon forks are definitely one of Rock Shox's budget models, and they only work okay on bikes that weigh half as much as the Powerfly 7 FS to begin with. The front suspension left a lot to be desired and did not inspire any confidence while descending. You can ride the Powerfly 7 FS on steep and rocky terrain, but the fork doesn't exactly inspire confidence. The Shimano Deore M6000 brakes also didn't really cut the mustard as they felt way under-powered for a bike of this weight. A 51 pound 12-ounce bike carries some serious speed down the hill, you definitely want all the stopping power you can get to slow it down. Trek also spec'd a pair of Schwalbe Knobby Nic 27.5 x 2.8" tubeless tires on the Powerfly, and while they are nice and knobby with plenty of air volume, a bike of this nature benefits from a much more aggressive tread. The Knobby Nics provided great traction while climbing, but on the descent, they did not provide the traction or inspire the confidence our testers were looking for, especially as a front tire. The Powerfly 7 FS was definitely still fun to ride downhill, but it couldn't match the performance of the competition. The Powerfly 7 FS was generally a competent and comfortable bike on the uphills. The bike's long wheelbase and very long chainstays, 475mm, gave it a long rear end that maintained impressive traction with the rider seated. As a matter of fact, it seemed this thing could scramble up just about anything you point it up assuming you maintained your momentum. Tighter turns and technical sections of uphill felt a little sluggish on this bike, however, due to its overall length. Pick a line and power up it, the Powerfly could scramble up some steep climbs. The power output of the Bosch drive unit was quite strong and relatively consistent, although it didn't have the most predictable initiation. Testers also noticed the power seemed to drop out for a very brief moment when shifting the rear derailleur. In general though, the power delivery felt pretty smooth assuming you kept your pedaling cadence up. Testers weren't wild about the drivetrain spec'd on the Powerfly 7 FS either. It wasn't the 11-speed Shimano XT rear derailleur, that has a massive range and worked flawlessly, but the 15 tooth front chainring seemed odd. We aren't entirely sure why such a small front ring would be spec'd on this bike, as the pedal assistance from the motor already gives you all the help you need. Additionally, the front chainring is hidden behind a guard on the side of the drive motor and more difficult to clean. Keep your momentum and the Powerfly can get up steep and loose climbs with ease. The power output of the Bosch Performance CX 250 drive unit was relatively good. The power comes on strong and suddenly, although the initiation wasn't as predictable as some of the competition. You could definitely feel the torque of the motor, and popping wheelies was definitely a possibility. Like the other e-MTB's in our test, the top speed of the pedal assist motor is 20 mph, and the Powerfly 7 has no problem getting up to and holding that speed. Testers found that the power lagged momentarily between shifts of the rear derailleur, but it didn't really last long enough to disrupt your momentum or negatively impact your riding experience. The 4 support settings offer a good range for a variety of trail types, riding styles, and preferences, and shifting between them was generally smooth and intuitive using the handlebar mounted shifter. It was also easy to see which support setting you're using by looking at the digital display/shifter unit on the handlebar by the left grip. The Powerfly 7 FS impressed us the most with its distance range, coming in second place to our Editor's Choice Award winner, the Specialized Turbo Levo Comp when compared to the bikes with comparable battery storage. It may not have the best on trail performance, but in our distance range testing, we found that it uses its power quite efficiently. We were able to ride the Powerfly 7 in its highest support setting from a fully charged battery to completely depleted over a distance of 18.6 miles and 3,076 vertical feet of climbing. This range was 2 miles less than the Specialized Turbo Levo FSR Comp 6Fattie, and around 1-1.5 miles farther than the Hai Bike XDURO and Commencal Meta Power respectively. 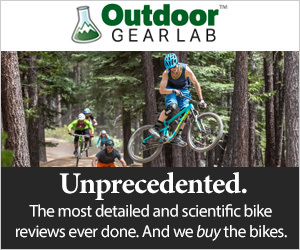 Of course, the Trek, and the other bikes in our test selection can travel farther if using a lower support setting that burns less battery power and more calories instead. Boasting the longest distance range of all the models we tested, the Powerfly 7 can keep you out there longer. The Bulls E-Stream EVO AM 4 has a 650Wh battery, so it didn't surprise us in the least that it was able to travel much farther than the models in the test with less battery storage. As mentioned several times above, the component specification of the Powerfly 7 FS is one of the primary factors holding back its on-trail performance. There are some elements of the build that are great, but our testers weren't incredibly impressed considering the $5,200 price tag. The primary point of contention is the spec of a Rock Shox Recon Solo Air fork, a low-end fork on a higher end and very heavy electric mountain bike. The Recon fork is typically spec'd on non-e-bikes that retail for around $2,000 and weigh around 30 pounds, and even then the performance of the fork is lackluster at best. Sure it works, but it has a sticky feeling and inconsistent stroke, limited tune-ability, and a bit of a "pogo-stick" feel to it. Testers complained that it felt flexy and simply not stout enough to be the front suspension of a bike that weighs 51 pounds and 12 ounces. It didn't inspire confidence at all, and virtually any other fork with a little more heft to it would have been preferred over the Recon. The Rock Shox Deluxe RL rear shock handled its duties admirably, it performed well on bigger hits but didn't really shine through the rough chop. Testers universally agreed that the fork spec'd on the Powerfly wasn't up to snuff. For the drivetrain, Trek spec'd an 11 speed Shimano XT derailleur with an 11-46 tooth cassette. We can't complain about the performance of Shimano XT components because they work reliably and well. Testers weren't enthusiastic about the 15 tooth front chainring, however, and questioned the use of such a small ring in the front considering the pedal assist drive unit and 11-speed cassette in the back that already offers a ton of range. This 15 tooth front ring was also hidden behind a guard that made it more difficult to clean. Overall, the drivetrain worked, but we feel that it could benefit from a different system, possibly an e-bike specific drivetrain that is optimized to work with a pedal assist motor. The 11-speed Shimano XT drivetrain on the Powerfly. The Powerfully 7 FS rolls on Bontrager hubs laced to nice wide SUNRingle DUROC 40 SL rims that pair well with the 27.5 x 2.8" Schwalbe Knobby Nic tires. In general, we feel the Knobby Nic is a good tire and they provided excellent traction while climbing, but testers felt the rounder profile lacked the traction they wanted while descending. The more aggressive tread patterns of the tires found on the other models in our test selection provided more traction and confidence on the descents. Knobby Nic tires provided great traction for climbing, but the round profile didn't inspire confidence when descending. The cockpit of the Powerfly 7 FS consists of a 750mm wide Bontrager handlebar and a 60mm bontrager stem. The handlebar was a reasonable width, but testers didn't love the longer stem as this bike is already very long, with the longest reach and wheelbase in the test, and could benefit from a shorter and stouter stem. The Bontrager dropper post worked well throughout the course of our testing and featured an ergonomic 1x remote lever. The relatively clean and comfortable cockpit set up, note the shifter/display unit on top of the handlebar. Slowing and stopping this heavyweight electric mountain bike is left to a set of Shimano Deore M6000 hydraulic disc brakes. While we can't typically complain about the consistency and reliability of Shimano's brakes, the additional weight of an e-bike really demands something a little more powerful. Overall, the build of the Powerfully 7 FS gets the job done, but this bike could seriously benefit from a beefier fork, more powerful brakes, and some more aggressive tires. A nike is the sum of its' parts, and the Powefly 7's component spec could use some improvement. If you're a rider looking for an e-MTB who is less concerned with getting rowdy than you are with how long your battery charge will last, then the Powerfly 7 FS could be a good option for you. It lacks the confident downhill performance of other bikes in this test like the Commencal Meta Power Race, the Bulls E-Stream EVO, or our Editors' Choice Award winner, the Specialized Turbo Levo Comp, but it does boast a good distance range. This could also be a good multi-purpose e-bike, for a rider who may use it for commuting or zipping around town, and who also wants to get out on the trail from time to time. With a retail price of $5,200 the Powerfly 7 FS costs $200 more than the HaiBike XDURO AllMtn 8.0 and the Commencal Meta Power race 650B+, and only $200 less than the Bulls E-Stream EVO AM 4. With the lackluster build and less confidence inspiring performance of the Powerfly on the trail, we don't think it is as good a value as other electric mountain bikes in this review. For serious use on the trail we'd be inclined to spend our money elsewhere. The Powerfly 7 FS is definitely fun to ride, but it couldn't compete with the better all around performance of the competition. There's no doubt that the Trek Powerfly 7 FS is fun to ride. Comparatively speaking, however, it couldn't match the all-around performance offered by other models in our test selection. Most notably, the Trek's mediocre downhill performance is largely due to the bike's poor component specification that just isn't robust enough to be competitive. That said, this could be a great electric mountain bike if the build is improved, so if/when Trek makes a version with a more impressive component spec it will be worth a second look. Trek makes 2 models of the Powerfly FS electric mountain bike including the Powerfly 7 FS reviewed above. The Powerfly 5 FS retails for $4,699 and features the same frame and drive unit as the Powerfly 7 FS with a slightly downgraded component specification. The Powerfly 5 has the same suspension package but features a Shimano Deore 10 speed drivetrain, Shimano BR-M315 hydraulic disc brakes, and a selection of Bontrager parts. Trek also makes a hardtail version of the Powerfly, the Powerfly 5 and Powerfly 5 Women's. Both models have a very similar build to the Powerfly 5 FS, but with a Rock Shox Judy TK Solo Air fork with 100mm of travel.